Yamaha Motor Corp., USA, the best-selling sport ATV brand in America*, announces its 2018 sport ATVs including the top-selling big bore Raptor 700R and the championship-winning YFZ450R. As the definitive leader in offering Proven Off-Road sport ATVs, Yamaha incorporates its legendary racing performance into the most durable and reliable machines on the market, which are also proudly built the USA at Yamaha’s state-of-the-art manufacturing facility in Newnan, Georgia, for worldwide distribution. 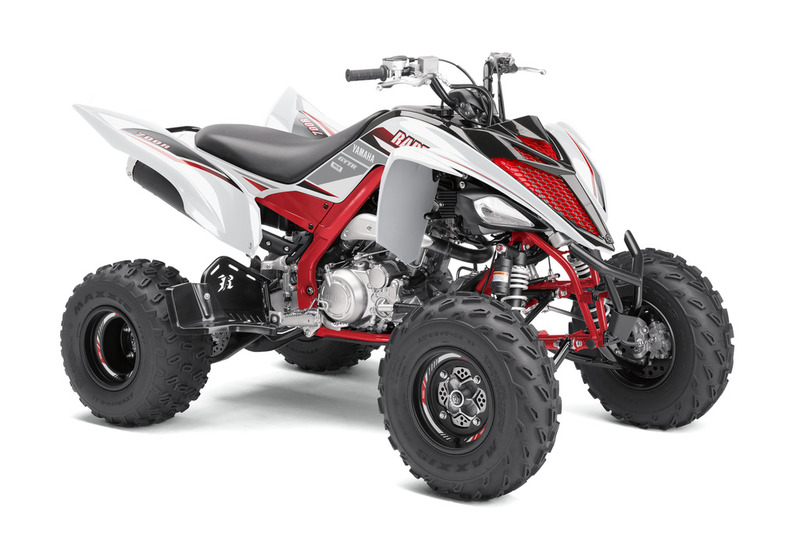 The Raptor 700R and YFZ450R are the top-selling and highest performing models in the world of sport ATVs, and epitomize ATV performance and dominance on the track, trail and dunes. For 2018, the Raptor 700 (MSRP $7,999) gets a new Graphite color scheme, while the Team Yamaha Blue / White Raptor 700R (MSRP $8,499) gets a Team Yamaha Blue seat, color-matched A-arms and frame. The 2018 Special Edition Raptor 700R (MSRP $9,099) comes in a new White color with both a GYTR front grab bar and heel guards. As the best-selling sport ATV in America*, the Raptor 700R brings the best combination of power, lightweight handling and trail / dune-conquering performance in sport ATVs. The Raptor’s hybrid steel aluminum frame is complemented by a controlled-fill aluminum sub-frame and cast aluminum swing-arm, all combining to produce a supremely-strong structure and the lightest ATV in its class. Utilizing Yamaha YZ-style fully adjustable piggyback shocks, the Raptor is a versatile machine capable of handling any terrain – from tight, twisty trails to wide open deserts. Lending to the terrain-taming prowess, front wheel travel is 9.1 inches, with 10.1 inches in the rear. A plush seat, dual counter-balancers, electric start, and reverse are added features on Raptor 700R for all-day riding comfort and convenience. 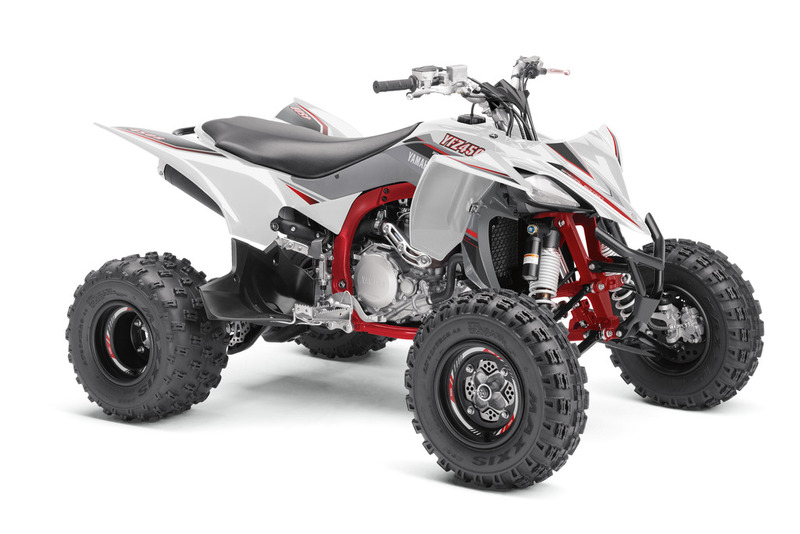 As America’s best-selling 450-class sport ATV** and reigning MX and GNCC champ, the unrivaled, race- inspired YFZ450R also gets a new SE in White (MSRP $9,299) with a GYTR front grab bar. The Team Yamaha Blue / White YFZ450R (MSRP $8,999) now comes with a Team Yamaha Blue seat and color matched A-arms and frame. The YFZ450R is the most technologically advanced sport ATV in the market, combining a high-tech, quick-revving, titanium-valve 449cc fuel-injected engine with a lightweight, professional-caliber cast aluminum / steel chassis. MX-ready, the YFZ’s no-weld frame is designed from lightweight aluminum with a tension-steel bottom frame, allowing low engine placement for optimal mass centralization. Suspension components and settings reduce weight while providing agile, performance-pointed handling and rider comfort. The YFZ’s bodywork is designed for ideal ergonomics and rider comfort with a T-shaped seat and maximum knee room permitting riders to easily move around the machine and attack corners to the finish line. An assist-and-slipper clutch reduces clutch lever effort for less fatigue, while simultaneously increasing clutch plate pressure for positive engagement. This clutch system also reduces engine braking effect, which allows for faster cornering, particularly when downshifting.